Perhaps the former planet dared give a white dwarf the raspberry. Perhaps the white dwarf was auditioning for the new Star Wars film by doing its best Death Star impression. 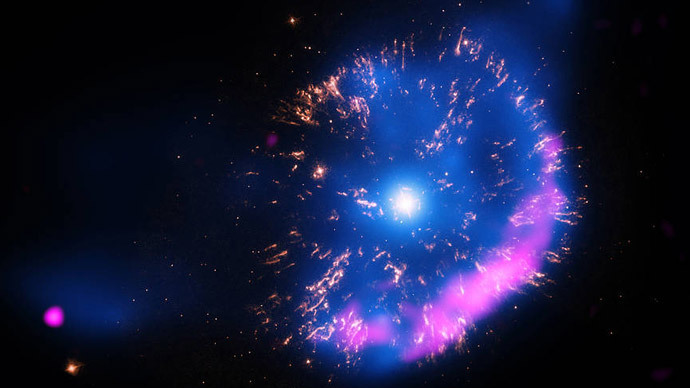 Either way, the white dwarf obliterated a whole planet that ventured nearby. The victim was a planet living at the edge of the Milky Way galaxy, astronomers said, blaming the deceased for being in the wrong place at the wrong time and getting too close to the suspect’s gravitational pull. Using several telescopes, including NASA’s Chandra X-ray Observatory, scientists were able to collect evidence of how the planet was ripped apart. They described the suspect as a white dwarf star about the size of Earth and said that gravity may have been the motive. It may have been dressed as the Spaceballs One Mega Maid. 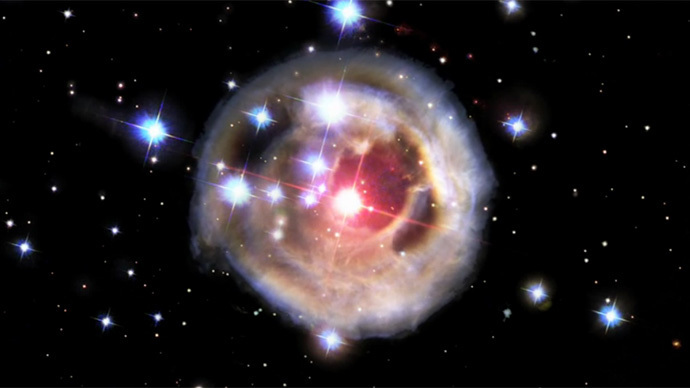 The star’s gravity at its surface is more than 10,000 times higher than that of the sun at its surface. The crime was discovered after researchers used the European Space Agency’s International Gamma-Ray Astrophysics Laboratory (INTEGRAL) to discover a new X-ray source near the center of a globular cluster called NGC 6388, according to Phys.org. 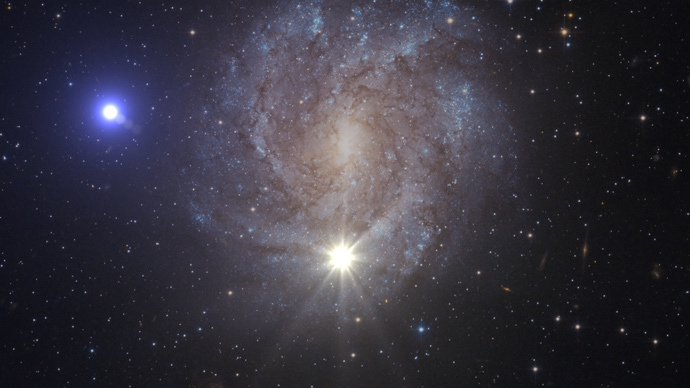 An intermediate-mass black hole at the center of the cluster that has a mass equal to at least that of several hundred suns was initially suspected, based on witness observations. But astronomers found a new lead when the INTEGRAL detected that the X-rays were produced by hot gas swirling towards the black hole of interest. Researchers then used Chandra’s “excellent X-ray vision,” according to Phys.org, to follow up on the new avenue of investigation. They determined that the X-rays were not coming from the black hole at the center of the cluster, but rather from a location slightly off to one side. For 200 days after the discovery, astronomers staked out the source of the X-rays, using a telescope on board NASA’s Swift Gamma Ray Burst mission. Investigators noticed that the source became dimmer over the course of the stakeout. 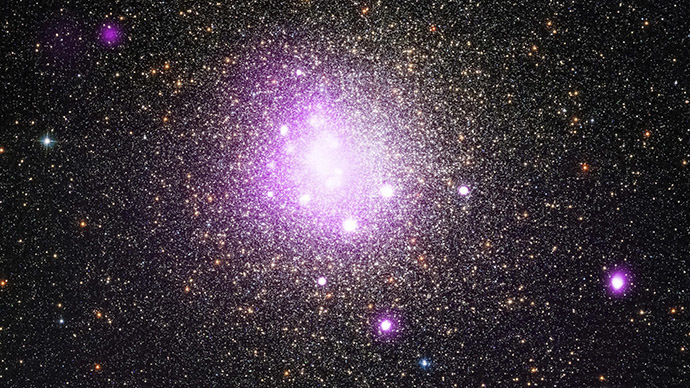 The new evidence led the astronomers to suspect the white dwarf, clearing the black hole’s name. There is no word as to whether the Galactic Republic plans to charge the white dwarf with involuntary planet-slaughter. It is not being investigated as a hate crime because the planet did not look Druish.